BOSTON — The third time was the charm for Yomif Kejelcha as he ran 3:47.01 at the Bruce Lehane Invitational Mile at Boston University on Sunday to smash Hicham El Guerrouj’s previous world record in the mile of 3:48.45. Kejelcha, primarily a 3000- and 5000-meter runner until this year, had targeted the mile/1500 world records twice earlier this winter and come up short both times in agonizing fashion. At the Millrose Games, he missed the mile record by .01. 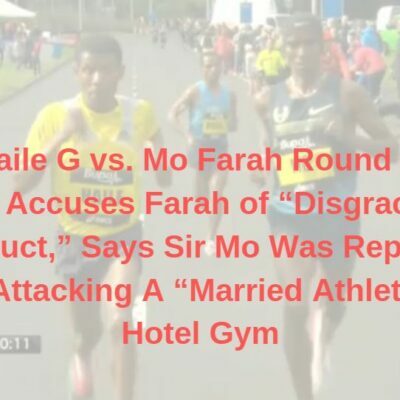 Then a week later in Birmingham, he targeted the 1500m record only to serve as a de facto rabbit for Samuel Tefera, who broke the record instead. Kejelcha’s Nike Oregon Project coach Alberto Salazar had said all winter that if Kejelcha did not break the record at Millrose, he would likely target it at a specially arranged meet in Boston, and that is exactly what happened. 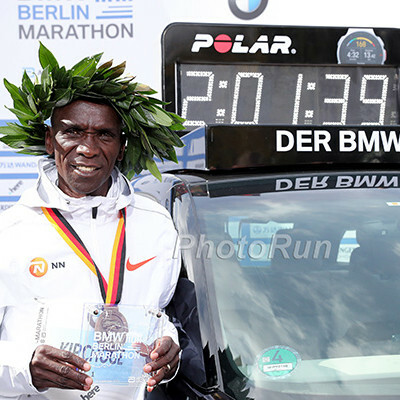 Once Salazar officially announced the plan to run this weekend, he also said that Kejelcha would be targeting Tefera’s 1500 world record of 3:31.04, with a special timing camera set up en-route. Unlike at Millrose, where Kejelcha only had one rabbit, there were three rabbits helping Kejelcha with the pace. 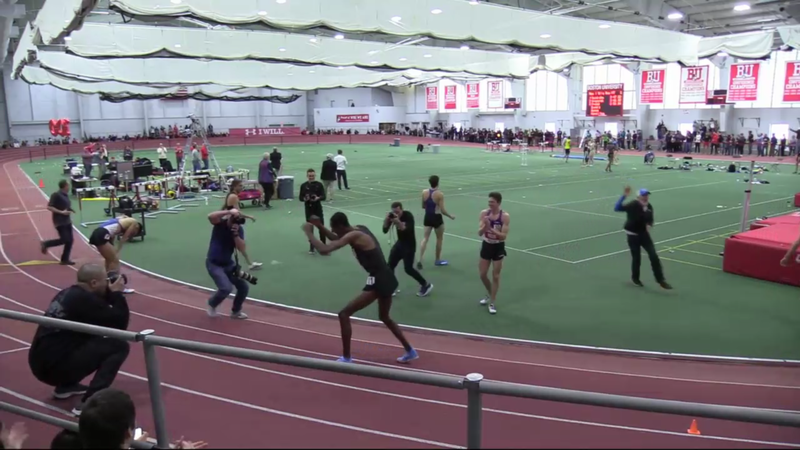 Erik Sowinski was the first rabbit running out in front, with Kejelcha behind him and the BAA’s Christian Harrison running outside in lane 2 in order to prevent Kejelcha from drifting wide, according to RunnerSpace announcer Paul Swangard. Behind them was pacer Harun Abda. Sowinski got out well the first 200 and Kejelcha hit the first 209 meters in 28.68 (world record pace was 29.71). However after that, Sowinski would slow. World record pace is 28.39 for each 200m for the mile and 28.14 for each 200m for the 1500 (remember, the first lap has an extra nine meters). Sowinski went 28.57 and 28.63 the next two laps and soon Harrison would drop out and it was Sowinski in front with Kejelcha behind him with Abda. At the end of the fourth lap, Sowinski went wide and continued to slow (28.73) as Abda took over the pacing. Kejelcha hit 809m in 1:54.44, which was still ahead of mile world record pace (1:54.89) but the 1500m world record (1:53.86 pace needed) appeared to be slipping away. Kejelcha sensed he needed to go quicker and on the backstretch of the next lap he went wide into lane 2 and passed Abda. He was now racing the clock and history in a solo effort. In a magnificent display of solo running, he started picking up the pace. His fifth lap was 28.31, and he ratcheted it down on the sixth lap to 28.01. Kejelcha wasn’t done yet as he blitzed a 27.78 to hit the bell in 3:18.54. What could he summon the final lap? He was still behind the 1500 world record split (3:18.24), but well ahead of world record mile pace (3:20.01). In the end, Kejelcha slowed slightly the final lap, running 28.48 and just missing the 1500m world record by splitting 3:31.25, though he still crushed the mile world record. 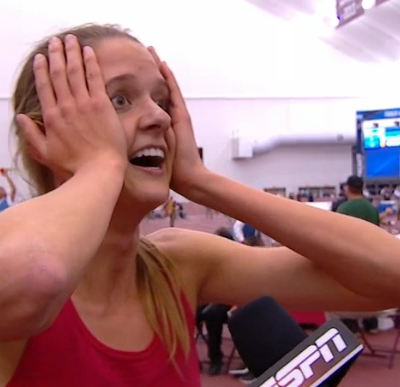 After finishing, Kejelcha turned around and then thrust his hands into the air in celebration upon learning the mile world record was finally his. On the track behind him at the finish, another runner was jumping up and down hugging those around him and it was American Johnny Gregorek, who had the fastest last lap in the field, blitzing a 27.08 to run 3:49.98 in the mile, becoming the second-fastest American ever indoors, and just the seventh American ever under 3:50 in the mile. 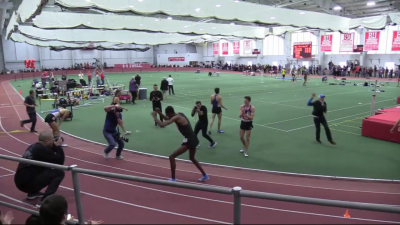 Sam Prakel ran 3:50.94 for third to become the fifth-fastest American ever indoors. One of the best things about our sport is that it is definitive. There’s no way to objectively determine who was the best player on the field in the Super Bowl, but you can definitively say after every race who the best runner was. So using the word “deserve” when it comes to track & field can be tricky. How can the guy who “deserves” the world record be anyone other than the man who, definitively, ran the fastest time ever? But saying Kejelcha deserves the world record feels appropriate, because it is Kejelcha, with his repeated record attempts, who has made people care about the 2019 indoor season in a year with no indoor World Championship. Kejelcha came .01 shy at Millrose and without him going out on a limb in Birmingham, there’s no way Tefera would have broken the 1500 world record. For Kejelcha to finally get a world record — and particularly the way he did it, by crushing laps six and seven in 28.01 and 27.78 without a rabbit — felt like a just reward after a season of hard racing. How fast is 3:47.01? Not only did Kejelcha shave 1.44 seconds off the world, record, but he also ran the fastest mile in the world — indoors or out — in almost 12 years. The last man to go faster? Alan Webb when he set his American record of 3:46.91 in July 2007. Kejelcha also became the ninth-fastest miler of all time. After the race, we spoke to a very happy Kejelcha (with a big thanks to pacer Harun Abda, who translated Kejelcha’s answers into English), and he was quick to give thanks to Salazar. Kejelcha said that there were two big factors that made the difference today: pacing and recovery. At Millrose, Kejelcha went out slower for the first lap (29.83 for the first 209 vs. 28.68 today) but the second lap was way too fast (26.42 vs. 28.63 today), which he said made it difficult to kick at the end of the race. Today, the pacing was much smoother — Kejelcha called it “perfect” — and that meant that when Kejelcha did decide to go to the lead at 900 meters, he had the ability to continue pushing and actually increase his speed rather than fade — he ran 1009 to 1409 in 55.79 today as opposed to 58.35 at Millrose. The other difference was rest. After Millrose, Salazar admitted that Kejelcha may have pushed a little too hard in his pre-race workout two days before. He then raced just one week later in Birmingham, and between bouncing back from Millrose and some difficult travel, Kejelcha said he felt tired in that race (despite running 3:31.58). With two weeks of rest heading into this one, Kejelcha was fresh and ready to rip a fast one. As for attacking the 1500 and mile world records in the same race, Kejelcha said that he trusted that whatever Salazar decided would be the right decision. NOP head coach Alberto Salazar politely declined our interview request, but we did get a chance to speak with NOP assistant Tim Rowberry, who shared some of NOP’s thinking ahead of the race. 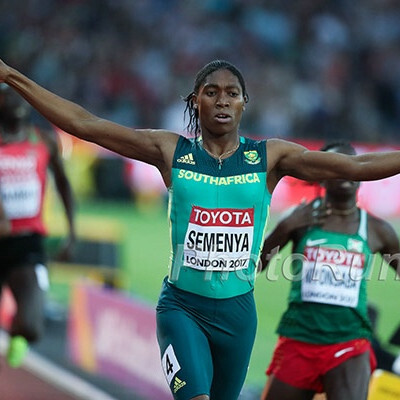 Rowberry said the plan was for Kejelcha to try to run as close to 14 seconds as possible for every 100-meter segment and that they had a target time of 2:48 in mind at 1200 meters. However, Rowberry said that Kejelcha needed to be flexible and adaptable with whatever pacing scenario was presented. “If you’re down a second or too fast, then just know you’ve gotta do the work, you’ve gotta finish however the race is needed,” Rowberry said. Rowberry did not act as if chasing the 1500 and mile world records in the same race was a big deal. But chasing both records did affect how Kejelcha’s approach to the race. He approached it as a 1500. Rowberry also admitted that after Birmingham, Kejelcha was “back and forth” about whether to take one last shot at the records but ultimately decided to do it. Gregorek was already an accomplished miler before today, with a personal best of 3:53.15 and an appearance in the 2017 World Championship final. But today’s run elevated him into even more elite company. His 3:49.98 was just .09 off Bernard Lagat‘s American indoor record and makes him just the seventh American ever under 3:50, indoors or out. More importantly, Gregorek joked, he now owns the family mile record: his father John, who was in attendance today, owns a personal best of 3:51.34 from 1982. 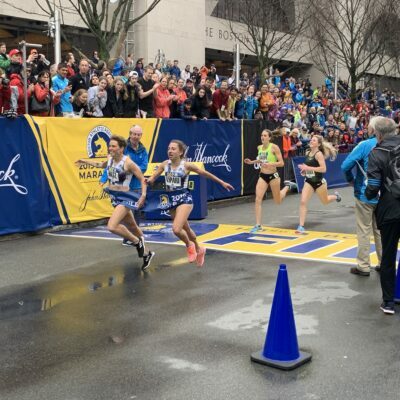 2019 is already shaping up as some year for Gregorek, as he got married in January, his beloved New England Patriots won the Super Bowl in February, and he joined the sub-3:50 club in March. Gregorek went in with the idea of running a PR and hitting the World Championship standard of 3:53.10 by sitting on Craig Engels. But as the race progressed, he continued to feel amazing and after hitting the bell just behind Engels, decided to open it up and see how fast he could go. As he approached the finish line, Gregorek could tell he was going to be close to 3:50 and decided to put in a couple of hard final steps to try to dip under. It worked. Gregorek was only third at USAs last week, but said that workouts have been going very well. He said he feels extremely strong and comfortable at 58-second 400 pace, but that trying to close a little quicker than that at USAs was tough. We were also curious to hear Gregorek’s thoughts on the BU track, which is known as one of the fastest in the world. Gregorek, whose non-BU PR is 3:54.53, said the track is fast for a combination of factors: it’s bouncy, the conditions are always good, and the elite race setups are usually conducive to PRs. So what is faster? BU or an outdoor 400-meter track in perfect conditions? Normally an American running a 3:50 mile would be our top story — prior to today, Matthew Centrowitz was the only American man to do it, indoors or out, within the last five years. But Sam Prakel‘s 3:50.94 today was only good for third place, such was the talent in this field. The 24-year-old Oregon grad was all smiles afterwards, however, saying “it’s still a big deal to me” (as it should be). 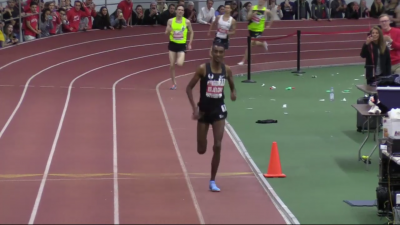 At Millrose, Prakel went out slower than he did today (1:57.54 at 809 vs. 1:56.61) and faded badly, running just 3:59. But, like Kejelcha, he ran very fast on his second lap in that race (27.15). And Prakel said that while he’s felt sluggish in a couple workouts recently, he had a terrific fall block of training in Seattle, where he trains under University of Washington coach Andy Powell. After running around 70 miles per week in college, Prakel was over 80 miles every week last fall with the longest long runs (16 miles) of his life. So despite the Millrose result and a fourth-place finish at USAs, Prakel thought his strength could be enough to carry him to a fast time today. Still, he wasn’t expecting this fast. 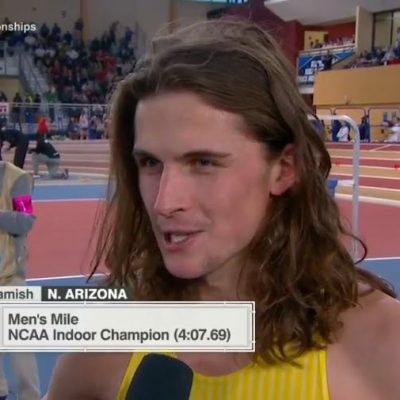 While Kejelcha was targeting the WR, the Americans were all targeting the Worlds standard of 3:53.10 for the mile and 3:36.00 for 1500, with Gregorek, Sam Prakel, and Henry Wynne (four-second PR of 3:51.26) all getting it for the mile and Engels getting it for 1500 (3:35.79). That’s important, because USATF is not allowing athletes to chase the standard after USAs this year. 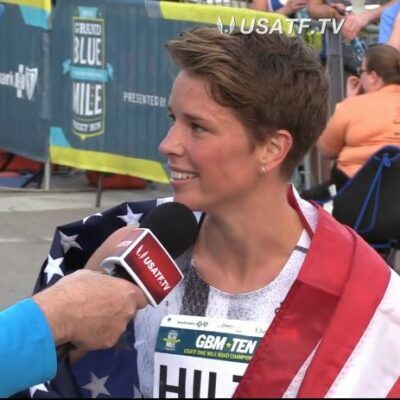 And while USAs aren’t until the end of July, it still won’t be easy to hit the standard; last year, only two Americans — Drew Hunter and Matthew Centrowitz — hit the standard (both will need to hit it again in 2019 to go to Worlds this year). That gives Gregorek, Prakel, Wynne, and Engels a nice leg up, knowing they can focus only on finishing in the top three in Des Moines. Editor’s note: We corrected the section above to note Engels hit the standard en-route at 1500 which we realized from David Monti’s tweet.